Adam Balcer (Central of Eastern European Studies, University of Warsaw). Debate moderator was Adam Reichardt (New Eastern Europe). The debate was held in English. Free admission! 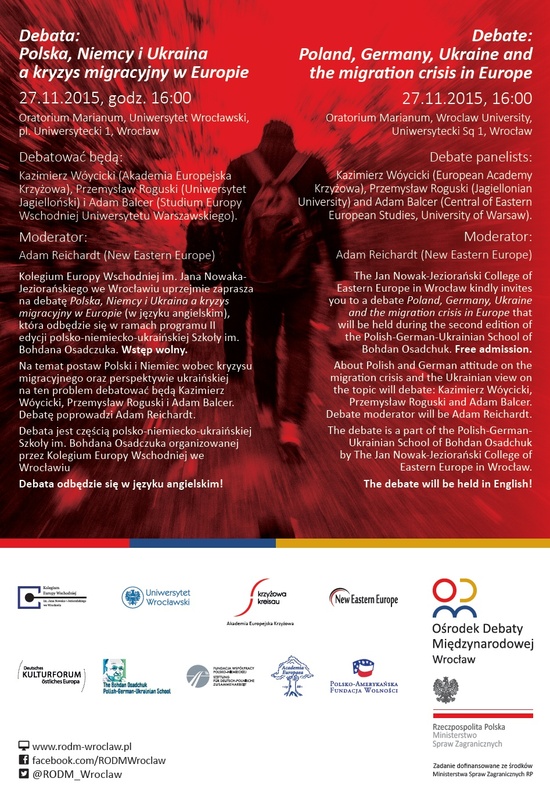 The Academia Europaea Knowledge Hub Wrocław is a partner of this event.